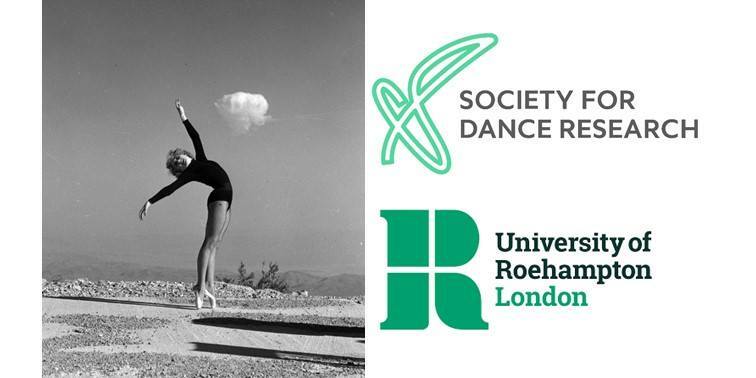 The SDR holds regular events and study days for members and non-members which aim to encompass a wide range of interests and scholarship in dance related areas. This session on methodology and theory in interdisciplinary studies will be facilitated by Dr Stacey Prickett, Dr Victoria Thoms and Dr Victoria Phillips, centred around contributions from PhD students. Students are invited to share selected papers/abstracts in advance with the other participants and will have the opportunity to briefly speak to these materials at the Forum (maximum 5 minutes). PhD students are invited to think about the ways in which the Cold War might have a bearing on their research. In which ways do geopolitics, international relations, national arts policies, philanthropy, and corporate power in the Cold War period intersect with your research? 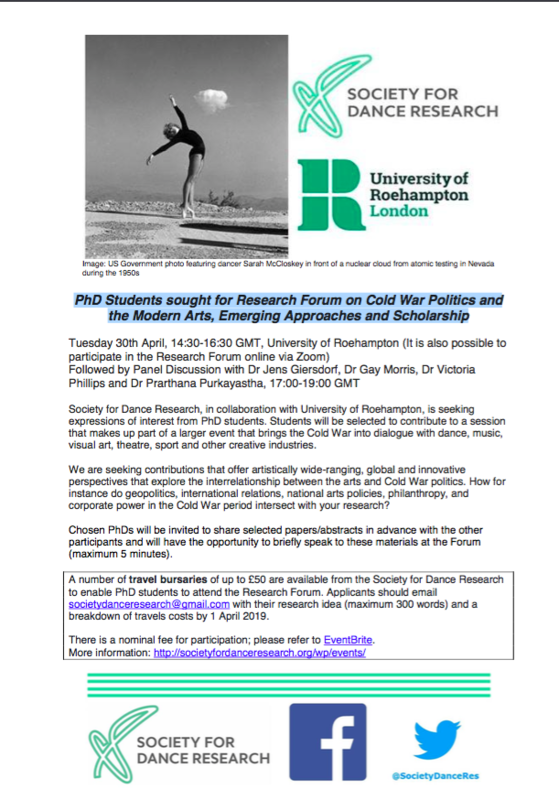 A number of travel bursaries of up to £50 are available from the Society for Dance Research to enable PhD students to attend the Research Forum. Applicants should email societydanceresearch@gmail.com with their research idea (maximum 300 words) and a breakdown of travels costs by 1 April 2019. It is possible to participate in this PhD Student Forum remotely via an online interactive platform. If you would like to participate online, please select the relevant ticket option (PhD Student Forum only – online remote participation £10). The invited speakers will briefly illuminate their research and discuss possible synergies or divergences between each other’s work. Then, the discussion will be broadened to include the audience in a Q&A. This panel discussion will be live streamed to the Society for Dance Research Facebook page.